Since we are in South Africa, we needed to check out the wine country! 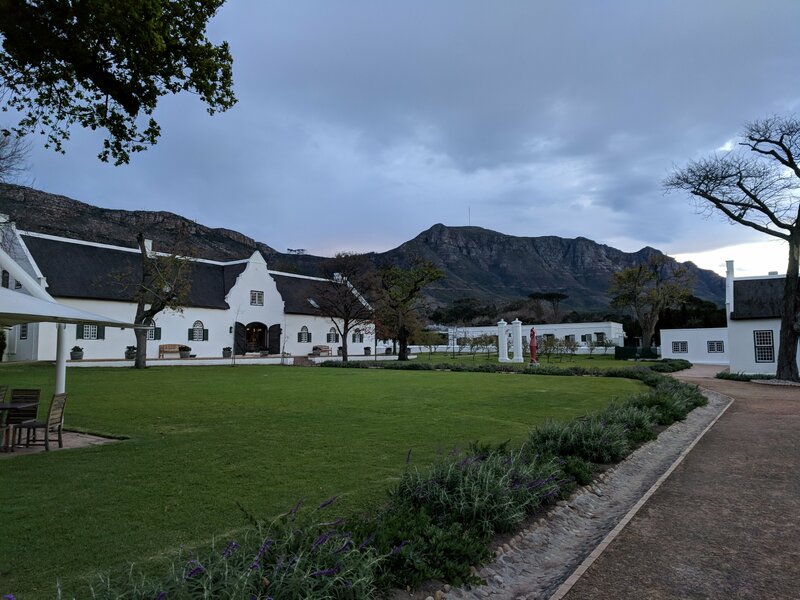 Last night we took a drive to Steenberg which is in Constantia Valley and outside of Cape Town. 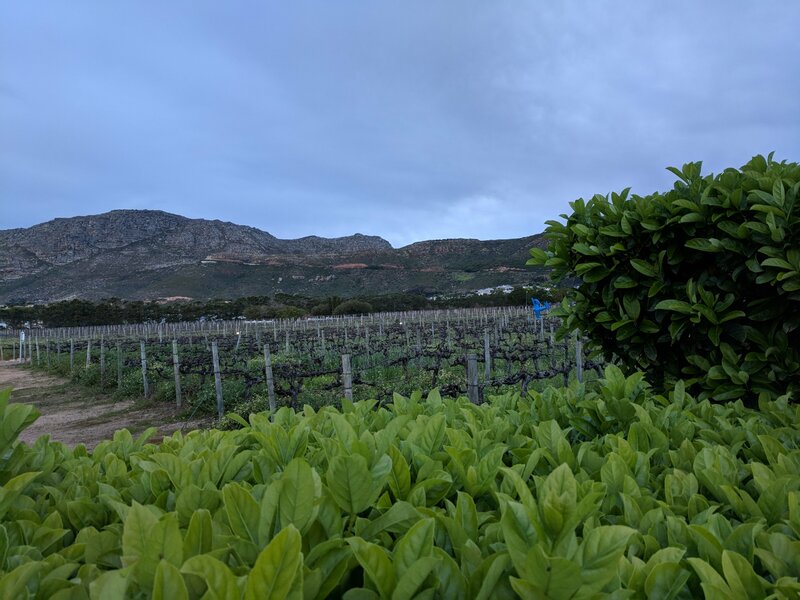 We checked out the Steenberg Vineyards which is one of the oldest in the region apparently. These are old vines, but they are less than 3 feet tall which was very different compared to living in the WA state wine region. It is actually a very nice collection of farms, restaurants and winery. We had a nice dinner and wine pairing in one of their restaurants. 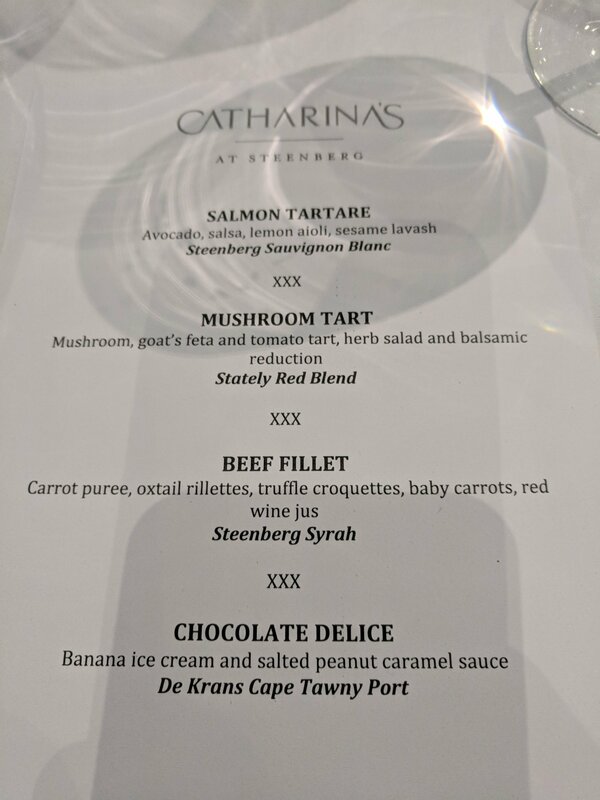 Summary: very good wines, very lightweight ports and decent pairing…but I am still biased and prefer the WA state wines compared to South Africa. This entry was posted in International, Travel, Uncategorized and tagged South Africa, Travel, wine. Bookmark the permalink.